Variant, the Icelandic engineering company, awarded for innovation by B.I.D. Business Initiative Directions held The Arch of Europe Award (IAE) convention on Sunday, April 28th, 2013 in Frankfurt, Germany. The event was a night full of surprises and good news — a soiree which more than 70 companies will hold forever. The International Arch of Europe Award 2013 took place in the InterContinental Hotel in Frankfurt, Germany on April 27th and 28th. The Spanish press agency, Imapress, covered the event which was held by Business Initiative Directions. 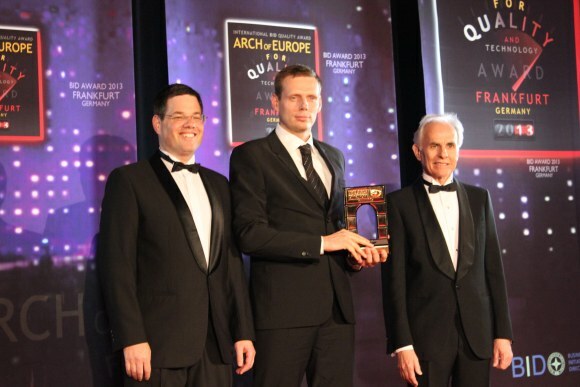 The weekend of April 27th-28th marked the twenty-sixth International Arch of Europe Award. 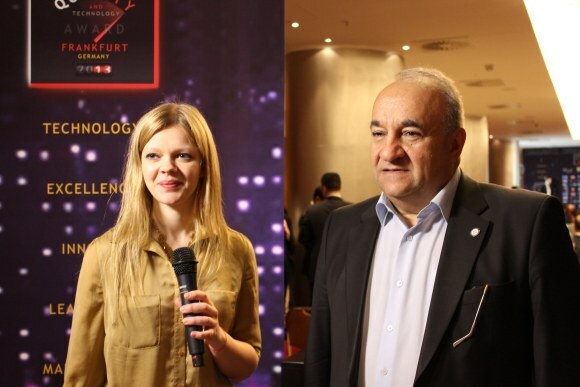 Held by Business Initiative Directions in the InterContinental Hotel in Frankfurt, Germany, the event brought together representatives of 84 companies representing over 70 countries. The InterContinental Hotel in Frankfurt, Germany, set a grand stage for the Quality Convention — the 26th International Arch of Europe Award — organized by Business Initiative Directions (B.I.D.). This illustrious complex located near the Meno River in the Bavarian finance capital was a strategic enclave for the event.